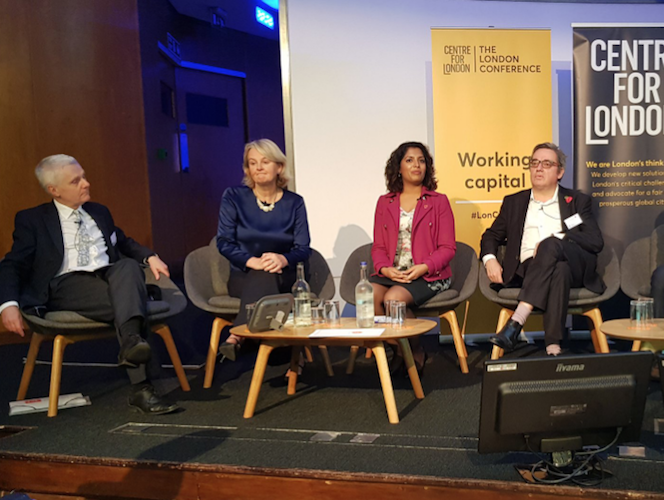 An urgent call for more devolution was the central theme of London Mayor Sadiq Khan’s keynote speech at this week’s London Conference, organised by think tank Centre for London. But other speakers said that a lack of commitment from central government meant the prospects of significant policy shift are not promising. Created in 2000 after majority backing in a capital-wide referendum, the London mayoralty and Greater London Authority had been a success story, he said, establishing the model for city region mayors and combined authorities elsewhere. There were no real limits to the powers which might be devolved, Travers said, highlighting the work of the London Finance Commission convened by the Mayor (and previously by Boris Johnson) which he chaired and set out a decentralisation blueprint including fiscal devolution alongside health, education and other domestic policy areas. Yet City Hall remains constrained, with 95 per cent of tax revenue raised in the capital captured by central government while devolution is stalled and anti-London sentiment growing. While national politicians remained reluctant to devolve revenues subsidising other parts of the UK, London as a uniquely powerful world capital should be looking to develop its own partnerships with other areas, said ResPublica director Philip Blond. The city could risk political danger if it failed to do so, he warned. Effective action also required “horizontal” devolution, he said – structures to remove silo working and allow pooling of budgets across agencies, such as policing funding being put into public health budgets as part of a response to violent crime. Echoing the Mayor’s call for devolved powers across England, Peck cautioned against a London versus the rest stance leading to a “race to the bottom”. But London could face stark choices, said Professor Travers – continuing to press for devolution within existing structures, or seeking further independence, even “city state” status.